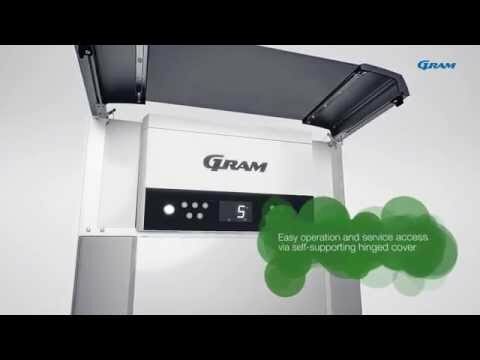 As you would expect from Gram’s flagship range this excellent refrigerator is a masterclass in innovation. From its unique pedal door opener, a real asset with both hands full, to its concealed control panel, great at protecting the controls from splashing water or wandering hands. Hygiene standards are easy to maintain thanks to the cabinets design principle of ‘no broken surfaces’. Award winning energy saving features and a robust build quality ensure longevity in a practical commercial fridge that won’t disappoint.